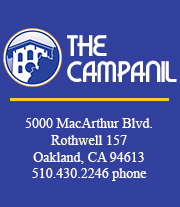 Tara Nelson will be retiring as Editor in Chief in May and wishes her friends-and-coworkers at The Campanil farewell and good luck. Editor in Chief Tara Nelson feels that the constant need to be the first to break a story will make her miss the point of why she became a journalist. Smokejumper Andrew Harris tells The Campanil what it’s like to parachute into a wilderness of fire. Tara Nelson gives an account of poverty and other social and economic issues in the nation’s Capital. Tara Nelson writes about her spring break tour of Washington DC smells. Tara Nelson writes about coping with the “frozen, powdery hell” of winter in Washington and snow puns. Columnist Tara Nelson described her return to the nation’s capital for a semester-long journalism program. Tara is the former Editor in Chief for The Campanil. She graduated in May 2011 with a B.A. in English with an Emphasis on Creative Writing and a Journalism minor. Interact with her on Twitter @Tarasaidit.